Bank of America: Sorry About The Foreclosure. Here, Have An Applebee's Gift Card On Us. Buy yourself something nice. Like some drinks and a couple apps. 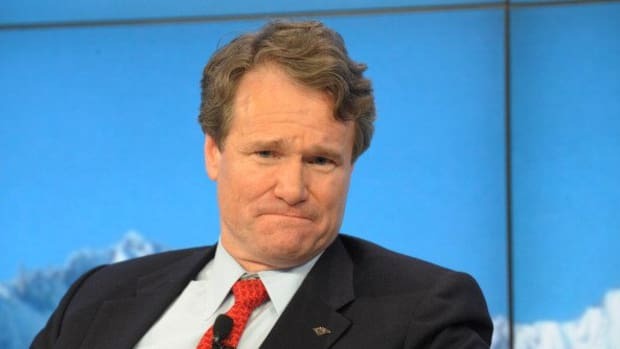 Bank of America, led by Chief Executive Officer Brian T. Moynihan, faced more than 15,000 complaints in 2010 from its role in the government’s Home Affordable Modification Program. Urban Lending, one of the vendors brought in to handle grievances from lawmakers and regulators on behalf of borrowers, also operated a mail-processing center for HAMP documents. Instead of helping homeowners as promised under agreements with the U.S. Treasury Department, Bank of America stalled them with repeated requests for paperwork and incorrect income calculations, according to nine former Urban Lending employees. Some borrowers were sent into foreclosure or pricier loan modifications padded with fees resulting from the delays, according to the people, all but two of whom asked to remain anonymous because they signed confidentiality agreements...To soothe homeowners frustrated by delays, employees had a monthly allotment of $25 and $50 gift cards they could give customers, said three of the former workers.